Today, May 20, the Auschwitz Institute for Peace and Reconciliation (AIPR) marks the annual Day of Remembrance for the Cambodian Genocide, the date on which the atrocity began over 40 years ago. In one of the most fatal genocides of the 20th century, approximately 1.7 million individuals, over 20% of the Cambodian population, lost their lives to the brutality that took place between 1975 and 1979. Under the leadership of Pol Pot, the Khmer Rouge regime carried out a series of atrocities that included mass executions, displacement, forced labor, and exposure to starvation and disease. In 2001, the Cambodian National Assembly passed legislation to create the Extraordinary Chambers in the Courts of Cambodia for the Prosecution of Crimes Committed during the Period of Democratic Kampuchea (ECCC). 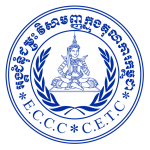 The country subsequently entered into an arrangement with the United Nations in order to facilitate international support for the ECCC’s proceedings. Since its inception, the ECCC has indicted 9 individuals and convicted three. Forever in my memory is witnessing the convictions of Nuon Chea and Khieu Samphan for crimes against humanity on November 23, 2016. As a Supreme Court Chamber Extern for the Extraordinary Chambers in the Courts of Cambodia, I had the honor of contributing to this decision, which was a historic victory for human rights. However, rebuilding the Cambodian society does not end with the prosecution of the Khmer Rouge’s top leaders. The daily sufferings and poverty in Cambodia are still a sad reality; on the bus ride to the Court, a common sight on the unpaved roads were children begging while holding infants wrapped in scarfs. The work of the Auschwitz Institute for Peace and Reconciliation and this Day of Remembrance inspire us in our commitment to raise awareness and encourage the prevention of genocide and other mass atrocities. It is ongoing efforts and initiatives such as these that will create change, as we strive for a Cambodia that is progressive in its recovery and upholds human rights. On this Day of Remembrance for the Cambodian Genocide, the Auschwitz Institute remembers the incredible number of lives claimed by the event, while acknowledging that the memory and other effects of genocide are generational and produce a powerful legacy. The observance also serves as an opportunity to recognize that that “Never Again” remains an aspirational ideal and not yet a reality. In this sense, AIPR reiterates the importance of, and its support for, instruments of national and international justice that support measures for truth, justice, memory, accountability, and the promotion of the rule of law as tools in the fight against genocide and other mass atrocities.